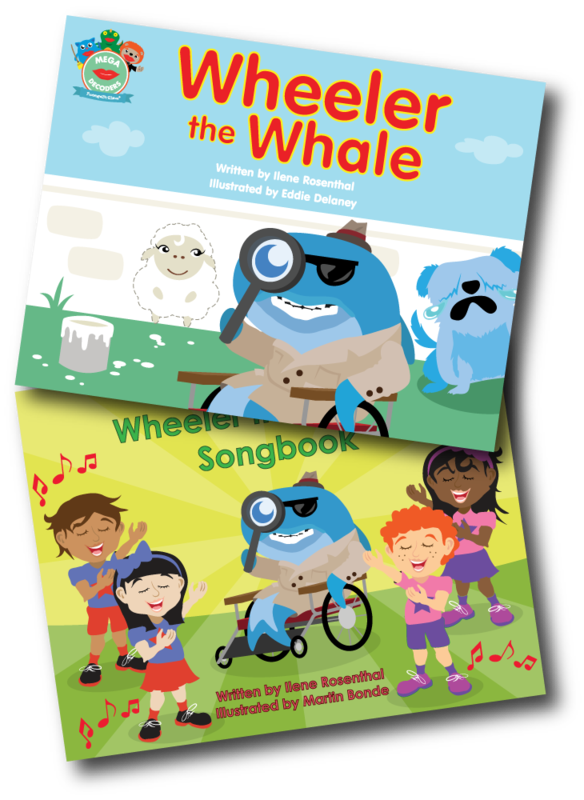 We are excited to welcome Wheeler the Whale to our Mega Mouth 2 Decoder series in Level 2. The Mega Mouth Decoders teach English phonics, and Wheeler is our new character for the “wh” digraph. As always, we dug into the research to determine the best way to pronounce Wheeler’s phoneme. While English speakers often pronounce “wh” the same as “w” (listen for your own pronunciation of which and witch), speech pathologists and reading specialists recommend associating the “wh” digraph with the /hw/ sound. The /hw/ sound is unvoiced like /h/, but the lips are pursed to direct air forward in the shape of /w/. You might have children explore their mouth position by pretending they are blowing out a candle. To emphasize the position of the mouth, have the children try to “blow out a candle” by making the /h/ sound or the /w/ sound alone. Neither sound is effective for directing air to the candle. Then have children combine the sounds to make /hw/. The English-Spanish toggle button has always been a highlight of the Footsteps2Brilliance experience. 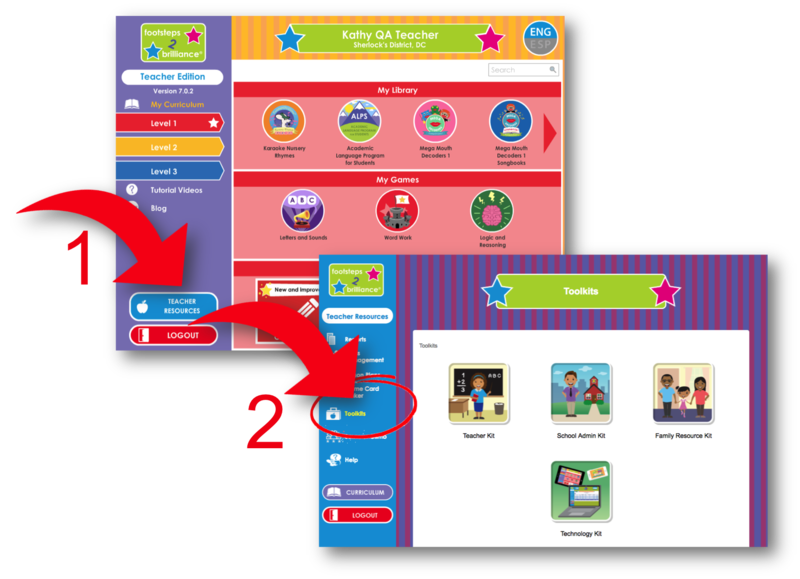 Parents and teachers often praise this unique feature that allows children to seamlessly toggle between identical learning in both languages. 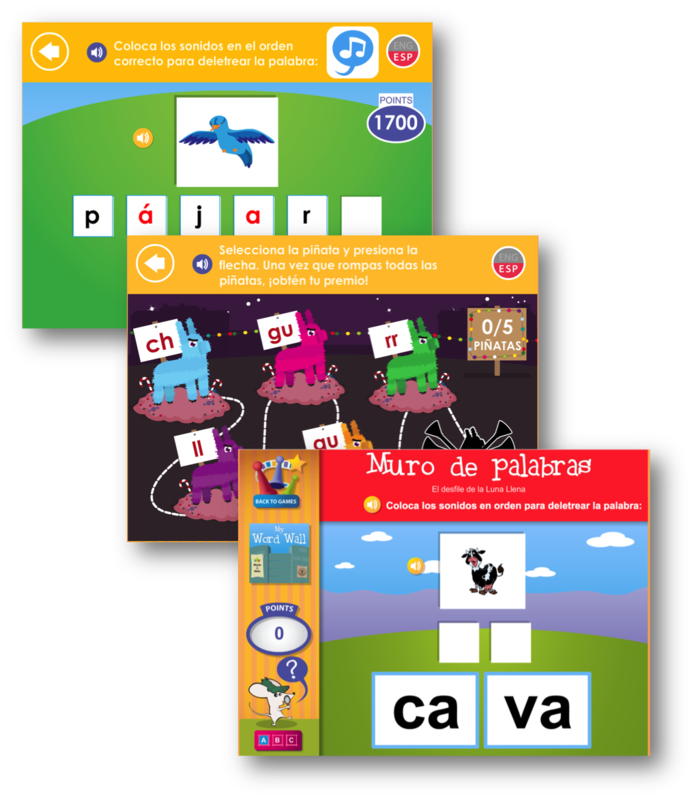 For these learners and anyone in a bilingual classroom, we are thrilled to announce even more support for Spanish literacy development. It's a Spanish Phonics Fiesta! From our Teaching Tips, enjoy an engaging hands-on May Day activity with 2D and 3D shapes. As May Day is quickly approaching, learn more about the holiday by reading Holidays Around the World K-O (Level 2, Holidays Around the World eBook series, Footsteps2Brilliance School App). Extend your fun by creating May Day baskets filled with spheres, cones, cylinders, circles, triangles, and more... And best of all, after completing your May Day basket you can deliver it to a friend in the traditional May Day fashion. From our Teaching Tips, here's a brilliant hands-on exploration of symmetry, shapes and design to extend learning after you read Penny the Penguin or Penny la pingüino (Level 2, Alphabet Animals eBook series, Footsteps2Brilliance School app). We think you'll love how this activity gives hands-on experience creating symmetry and shapes. And best of all, it's easy to prepare, and you will have all of the materials right on hand! 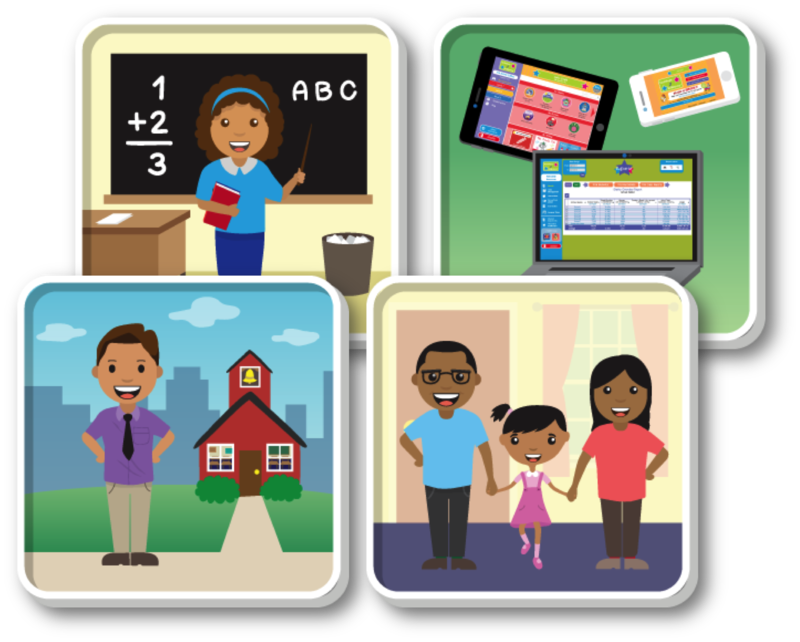 Exciting new resources right at your fingertips! We are thrilled to announce a wealth of new resources based on input and requests from our brilliant educators! And the best news? We have plans to continue to expand these tools for you! Whether you’re a teacher, administrator, family liaison or a technology director, there’s something for you in the new Toolkits section of the Footsteps2Brilliance App. After you log in, click 1) Resources and then 2) Toolkits to find a wealth of ready-to-use resources that can amp up your implementation. Calling all Writers! Version 7 Is Finally Here! 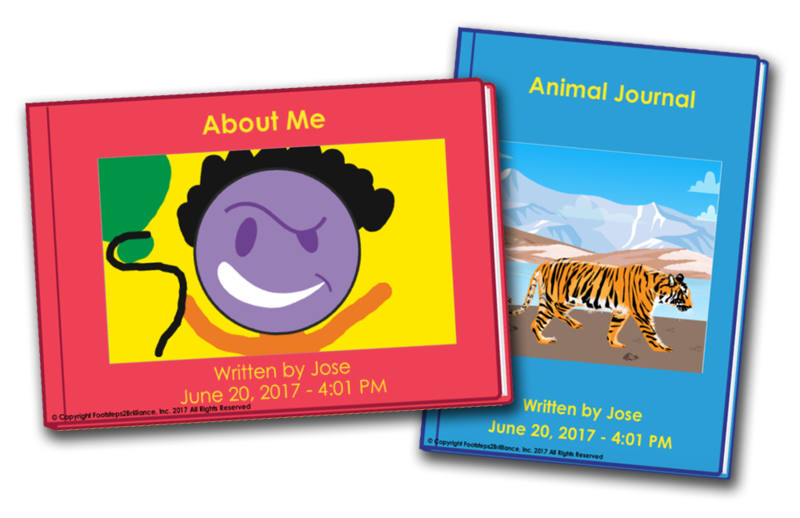 From the moment students launch the new Create a Book or My Journal, they will benefit from the simplified design. Based on extensive feedback from students, teachers, and parents, we’ve maximized the workspace and tools to unlock student creativity and critical thinking. New Games for the New Year! The Footsteps2Brilliance elves have been busy working on an update with eight new games and a few new features to enjoy over your holiday break! Early learners can practice tracing each capital and lowercase letter in the Better Big Letters and Better Little Letters Games. In addition to preparing children to write, forming letters provides a powerful multisensory approach for teaching letter recognition. Easily track students' mastery of skills. 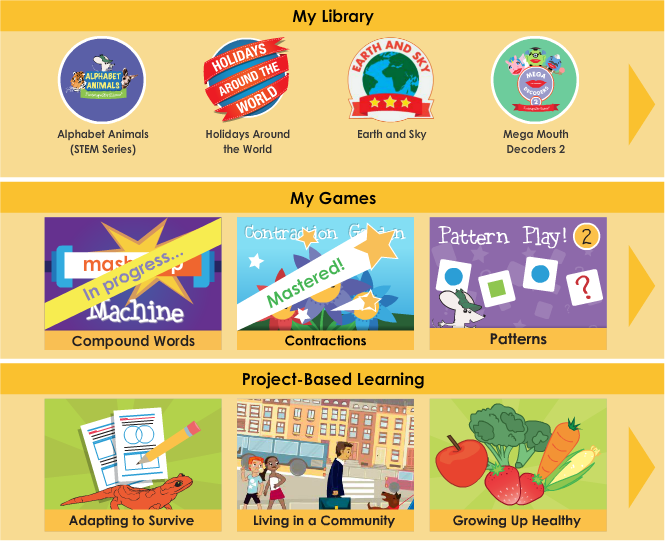 Students can now see game mastery and completion directly from the My Library screen. In addition, the login will automatically return to the level you were working on most recently.